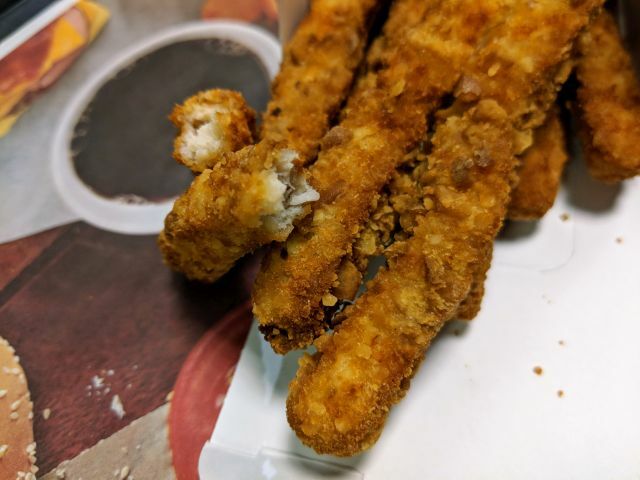 Burger King's Crispy Pretzel Chicken Fries feature fry-shaped white meat chicken coated in a salty pretzel breading seasoned with spices and herbs and then deep-fried. I paid $3.19 for an order of nine Chicken Fries. With the crushed bits of pretzel, these were extra crunchy compared to regular chicken fries and were fairly moist as far as the chicken inside went. Flavor-wise, there wasn't much pretzel flavor to the fries and I got more of a charred toast taste although that may have been because the chicken fries were really salty. 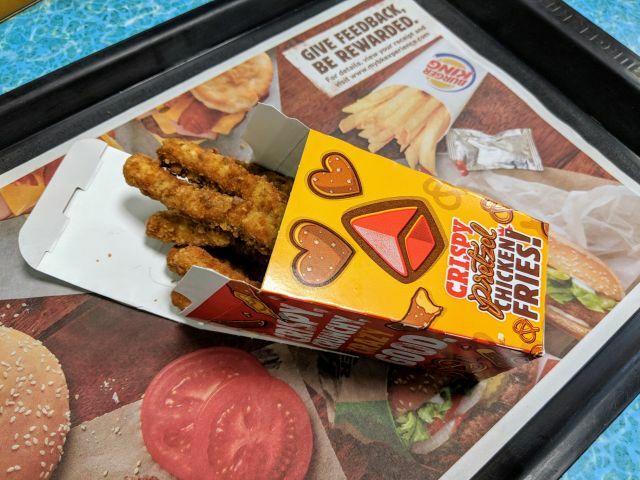 The regular Chicken Fries are already fairly salty but the Crispy Pretzel Chicken Fries really push it and you may find yourself reaching for water early and often. 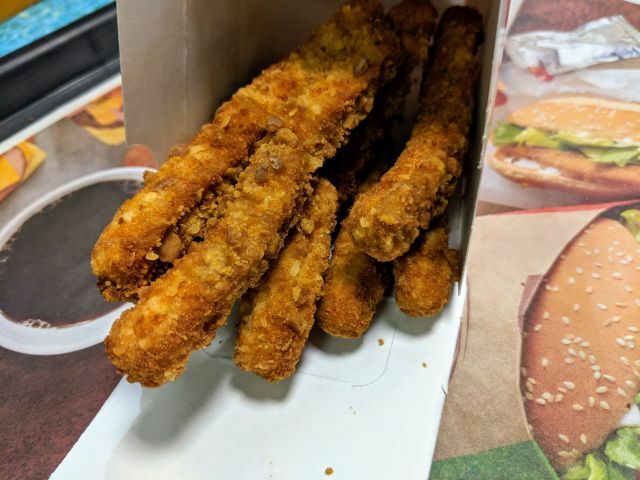 When it comes down to it, Burger King's Crispy Pretzel Chicken Fries were nice enough as far as the crunchy texture and spices and herbs went but it's like on the distinctive pretzel flavor and maybe they should have gone with an unsalted pretzel breading.